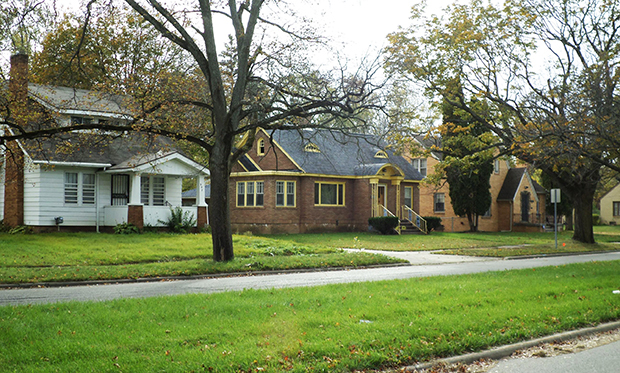 The public health crisis caused by inordinately high levels of lead contamination in Flint, Michigan is inexcusable, urgent and not as uncommon as many may believe. Over the last decade funding for environmental health services and testing has declined at the local, state and federal levels. The crisis in Flint serves as a critical reminder that our nation needs to reexamine and refocus its environmental health system, policies and practices. The United States lacks a coordinated environmental health surveillance system at the local and state levels similar to the systems we have for infectious disease detection. The failure to establish and utilize such a system has allowed for crises like the one in Flint. Did you know that most public health laboratories test air, soil and water as well as people for contaminants? In fact, many of these laboratories also certify other labs in their state to do similar testing. So why aren’t we making better use of these functions? When there is an emergency, the Environmental Protection Agency’s (EPA) Water Laboratory Alliance (WLA) serves as a network of laboratories willing to provide support by sharing supplies or even performing testing. However, the WLA has not been activated in the Flint response. If it was, it would provide access to 140 laboratories across the country that could offer support. 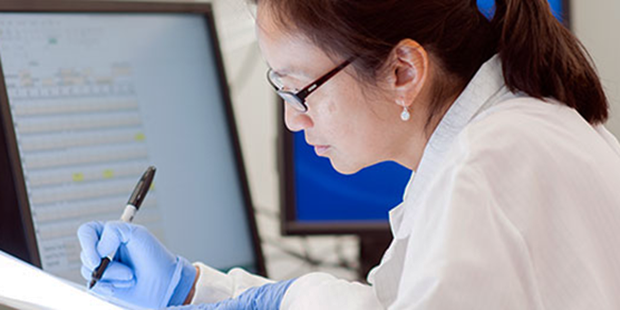 Additionally, most public health laboratories receive funding from the Laboratory Response Network for Chemical Threats (LRN-C) to test blood and urine for contaminants. To date, however, the LRN-C has not been activated to respond to the Flint disaster. If it was, it could provide the ability to test thousands of samples using high-quality CDC-approved methods. During non-emergencies, the Centers for Disease Control and Prevention (CDC) measures more than 250 chemicals in blood of US residents, but the data cannot be used to answer questions at the state or community levels. In order to produce such data, local and state public health laboratories need to conduct biomonitoring (looking at whether and how environmental contaminants are being absorbed into people’s bodies) as part of routine public health surveillance. Currently CDC funds nine states to build biomonitoring capability and capacity, as well efforts to create a National Biomonitoring Network of laboratories. To move toward a true environmental health surveillance system, this funding needs to be expanded to include an additional 10 laboratories. When fully implemented, the National Biomonitoring Network will harmonize the way local and state agencies measure chemical exposures in people, allowing collaboration among laboratories in order to build efficiency and comparability of data across the country. In the future, a data repository will allow analysis of trends over time and within a specific geographical area. This network will be a significant step toward establishing an environmental health surveillance system in the US. It would mean that communities concerned about potential chemical exposure would have better answers and policymakers would have better data to help them make better decisions. Finally, investing in the Environmental Health Tracking Network would bring us even closer to an environmental health surveillance system. This network provides access to data on environmental hazards (such as lead in water), exposure data (such as blood lead levels) and health effects (such as birth defects). However, the Environmental Health Tracking Network only includes 26 local and state health departments. Additional resources are needed to build out the system to better identify environmental health issues before they become large, significant problems. A fully-functioning network would lead to a better understanding of patterns related to certain birth defects and the impact of pollution on asthma and other respiratory illnesses. 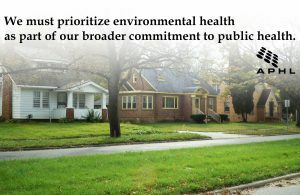 In order to prevent another crisis like the one in Flint, we must prioritize environmental health as part of our broader commitment to public health. APHL feels strongly that every citizen has a right to clean water, no matter where they live. Our government has a duty to provide this. The US needs an environmental health surveillance system, and we see the public health laboratories as a vital component of such a system. Lab Culture Ep. 9: What is the APHL Emerging Leader Program?